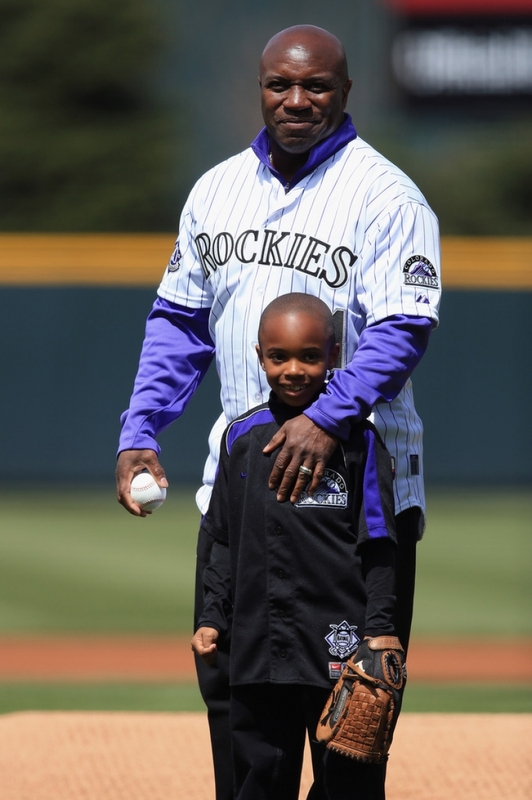 Eric Young and his grandson Dallas Young take the field as Dallas, the son of Eric Young Jr. #1 of the Colorado Rockies takes the ceremonial first pitch prior to facing the Arizona Diamondbacks at Coors Field on April 21, 2013 in Denver, Colorado. The Diamondbacks defeated the Rockies 5-4. - high-definition photo for free download.